The new year starts out just as the previous had ended  with exciting new launches. 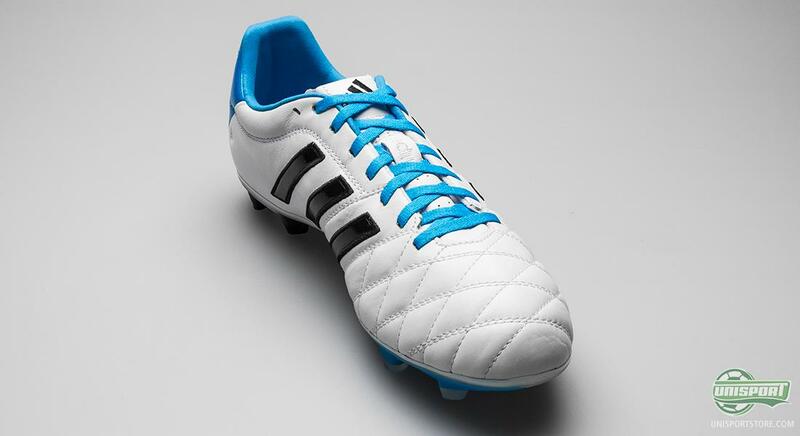 This time around it is Adidas who kick off 2014 with a brand new colour update for the Adidas Adipure 11pro II. Adidas surely know how to celebrate 2014. And that is with a brand new boot launch. We are talking about the brand new Adidas Adipure 11pro II, which gets yet another colourway, and this time around it is a sharp combination of white, blue and black. The Adidas Adipure 11pro was launched in the new generation as Adidas launched their colourful Samba Pack, and since then we also got the boot in a simplistic combination of black and green. 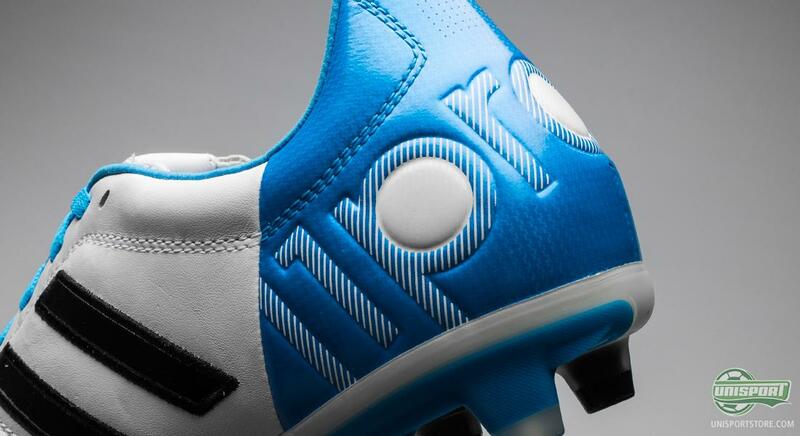 Now the boot is ready for yet another colourway, and this time around we are talking white, blue and black. With this new colourway, the number of options for the fan of the modern classic Adidas Adipure 11pro II are a plenty; and the boot has certainly been given some fresh updates when compared to the previous generation of the Adidas Adipure 11pro. 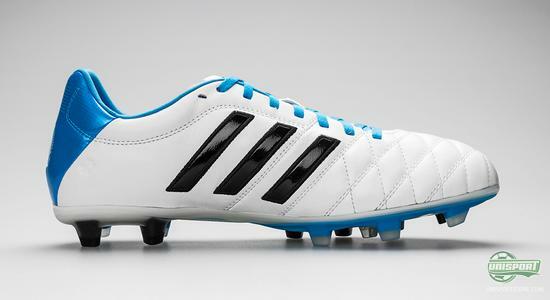 The boot once again comes with an upper made of Adidas' nice and elegant Taurus leather. It is a soft leather that provides an incredibly nice fit in the boot, as well as touch on the ball. If you are a part of the more traditional boot and leather boot crowd, you can surely enjoy the re-election of the material. 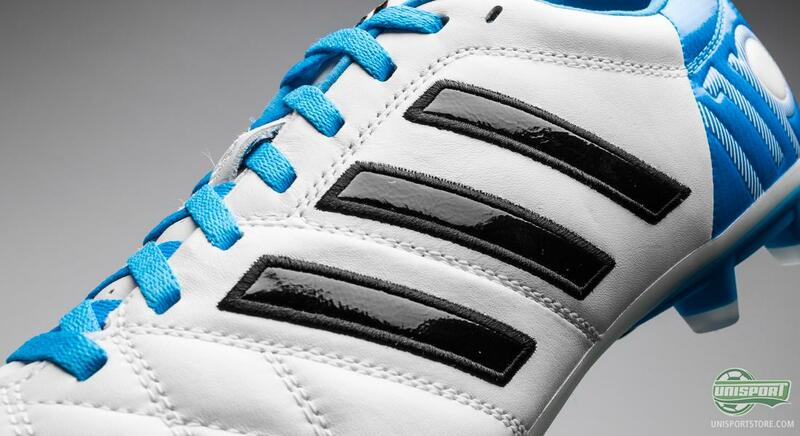 Adidas have, although, made some changes to the upper by adding more stitching. Hereby you can avoid to overstretch the leather and it also provides a snug and personal fit in the boot. 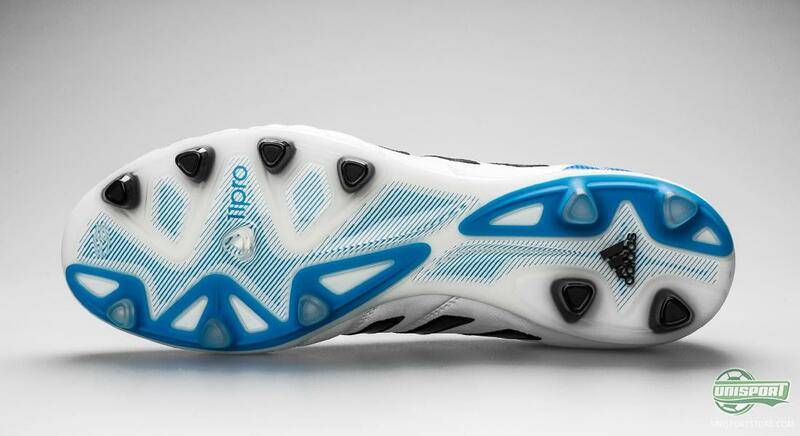 The result is an improvement of the core values of the Adipure, which have always been touch, comfort and fit. 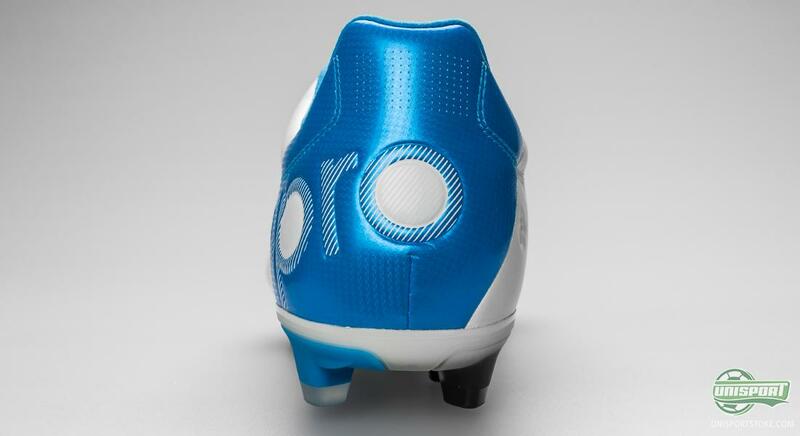 It is worth noting that Adidas have, for the new update of the Adipure 11pro II, moved away from the Duracoating technology, which was found on the nose of the boot on the previous version. 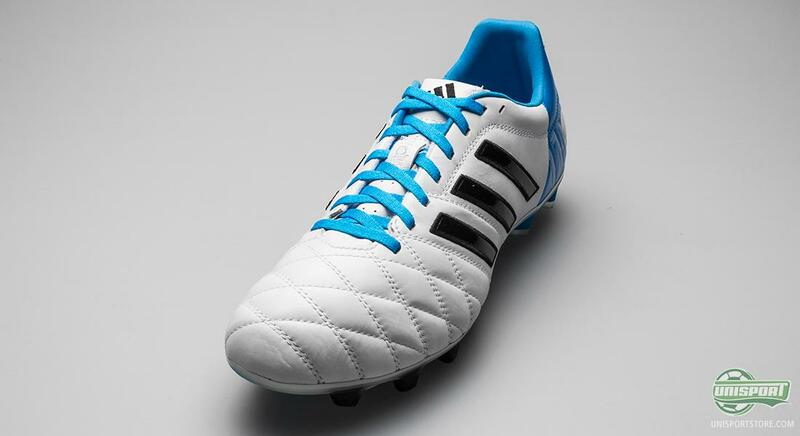 The Duracoating was added to increase durability, but Adidas have considered that it wasn't a necessity with the new stitching on the upper, which ensure that the leather doesn't overstretch and provide increased durability. 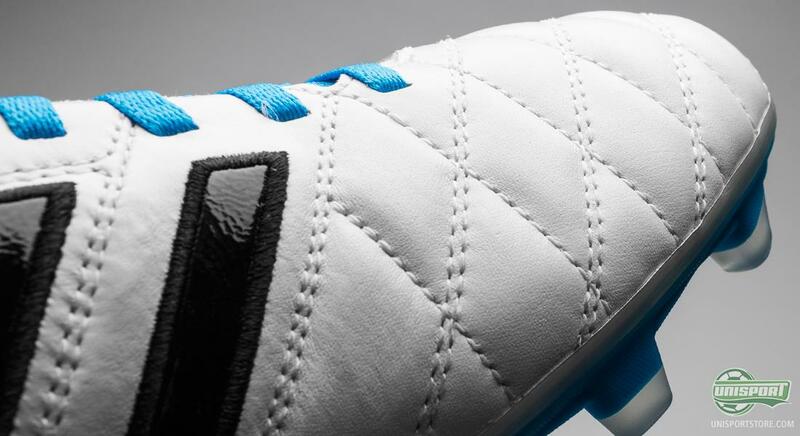 As we know it from the previous generation of the Adipure 11pro, the lush Taurus leather replaced by a synthetic microfibre material around the midfoot towards the heel. It helps to keep the weight down and in addition it provides a dynamic and modern look to the boot. Adidas have also worked on improving the comfort around the heel, and the Germans have provided the inside of the heel with a nice and comfortable suede lining. 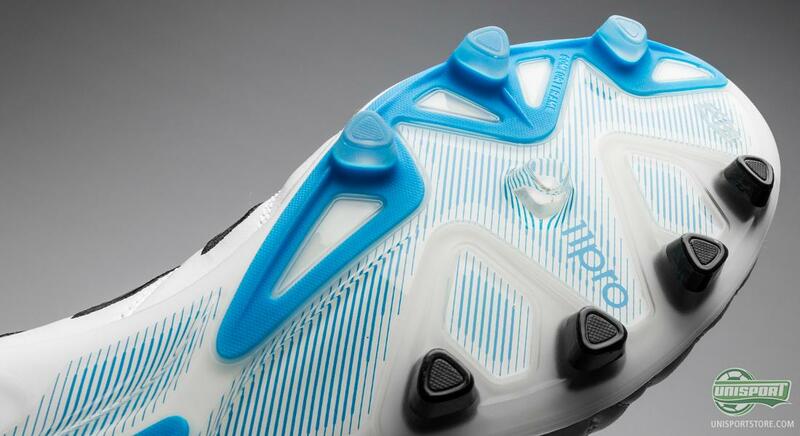 In addition, Adidas have also made sure that the boot not only feels good, but also looks good. Around the heel it elegantly writes 11pro. 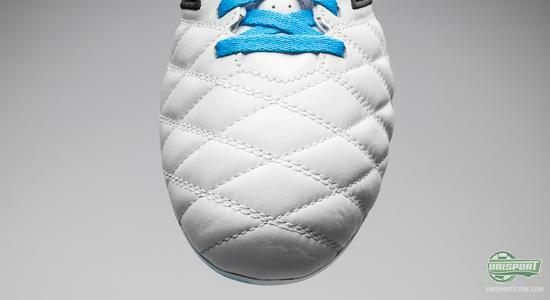 Regarding the sole, Adidas have worked on creating better dynamic and comfort. They have added multiple torsion and support bars to the sole, in order to provide extra support. Adidas have named this new frame the Comfortframe, and to no surprise, the focus is very much on comfort. Adidas have have also altered the studs. There are now more studs and they are slightly smaller. It provides a better distribution of pressure as the pressure is shares amongst the various studs. In addition that studs are more rounded which is also done to add to the grip. With yet another colourway for the Adidas Adipure 11pro II Adidas are continuing the launch party from 2013. What do you think of the new colourway? 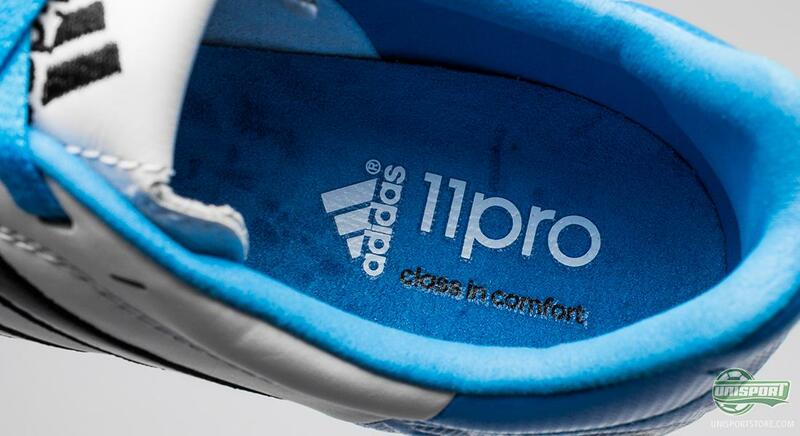 And which colour is your favourite for the Adidas Adipure 11pro II? Feel free to share your comments here, or on Facebook and Twitter.